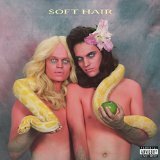 ‘Soft Hair’ is the self titled collaboration (long in the making apparently) of Connan Mockasin and Sam Dust (La Priest, Late of the Pier), with the album cover making a pretty good motif for the music within. If Prince’s early 80s backing band crashed on a deserted island populated by decadent, slinky, long haired natives who liked to get down & dirty, this is the kind of music that would probably result. Proto-Indian rhythms, cheesy synths, burbling electronic noodling, pervy lyrics. Is it all a knowing pastiche? A sly nod at the homo-erotica of tough guy rock bands? It’s hard to tell if they’re serious about any of it, from the sometimes deliberately creepy lyrics to the 80s PC game music, but that doesn’t mean there isn’t a hell of a lot of fun to be had in listening to all the weirdness. 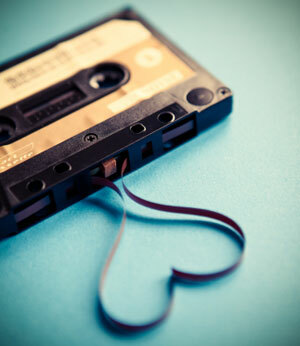 Hailed as part of a wave of New-Bromantic bands. Bandcamp here. Facebook here. East west moon / Jonathan Crayford, Ben Street, Dan Weiss. Once of our most successful Jazz exports Crayford works here with the same rhythm section on the critically acclaimed Dark Light (2014). 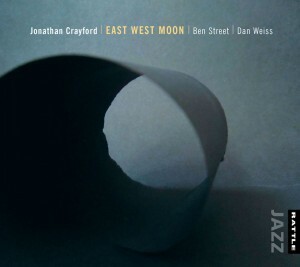 The music was all apparently composed by Crayford while living in Berlin and the title of the album (and title track) delve into the compass point’s as a geographic metaphor for the differences in cultures & peoples ideas on how to live, with the ‘moon’ representing the common denominators that link all of us. The modal pieces seem meant to work together as a whole canvass rather than a collection of individual tracks, while his playing seems to draw on the dark hued impressionistic style of Europeans like Enrico Pieranunzi. Website here. Rattle here. Sun for a change / Strikemaster NZ. 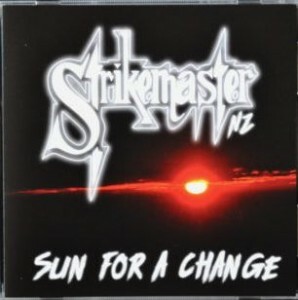 Local metal band Strikemaster formed in 1981 and played regular gigs round NZ for about a decade, including opening for international big names Uriah Heep and Motorhead (both 1984), and playing on Telethon. In 1992 they went on indefinite hiatus. That came to an end, when in 2013 they played a reunion gig at Bodega. Enthused by the crowd response, they decided to work on their first CD studio release 35 years after forming (following self released cassette ‘Play it Loud’ in 1989). With seemingly as many 80s ‘hard-rock’ influences as Metal, the band may be out of step somewhat with the current sound or genres of metal, but they prove that punchy melodic hard rocking songs are the card that always comes up trumps. Tons of fun. Facebook here. More info here. 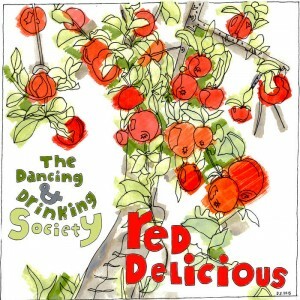 Remember the days/The Dancing and Drinking Society. Red delicious. 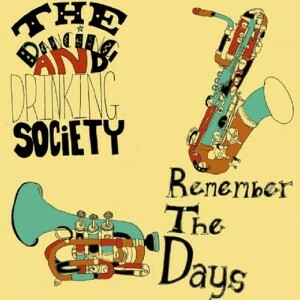 Two albums Wellingtons very own 1920′s and 30′s era New Orleans Swing Blues Band, debut album ‘Remember the Day’ & follow up ‘Red Delicious’, both from 2015. There is a mixture of ‘old time’ genres at play here from swing blues, New Orleans, swing, jazz and blues, mostly traditional classics but with the occasional original tune from one of the band. Between the four musicians they play 10 instruments between them (guitar, banjo a large selection of horns, washboard and kick drum and more) and although some of the songs are 100 years old they prove there is still plenty of life in these songs. They play a regular Saturday gig at Orpheus Restaurant & Bar so make sure you check them out live. Bandcamp here. Facebook here. Klezmer (composed of the Hebrew words kley and zemer meaning ‘vessels/instruments of song’ or more freely translated ‘musical instrument’) is an engaging style of world/folk music born out of the Yiddish/Jewish culture of eastern Europe in the 1800s and 1900s. Wgtn’s Klezmer Rebs formed as a breakaway from another group, Sam Gezentsvey’s Klezmer Orchestra which was far too structured for these rebellious band members. 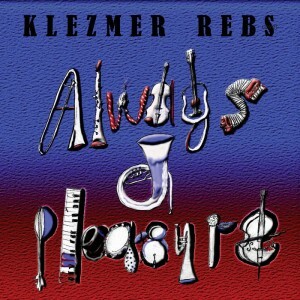 The Klezmer Rebs play an eclectic mix of up-beat ethnic dance and wedding music, along with traditional and modern klezmer works and English language tracks. Their 4th CD ‘Always a Pleasure’ serves as a bit of an all round introduction of their various musical facets, from the traditional ‘Der Heyser Bulger’ to the more modern Django Reinhardt’s ‘Minor Swing’ and some band originals. A good primer for their next live performance. Website here. Facebook here.